We have worked with architects in the past and were familiar with the process. You talk about what you want to do with the house, how you live, draw lots of sketches and finally come up with a design to move forward with. Our goals? Pretty much what we started with when we were house hunting. 1) Take advantage of the water views - in fact we had seen our neighbours roof top deck and had moved that to the top of our 'must have' list. 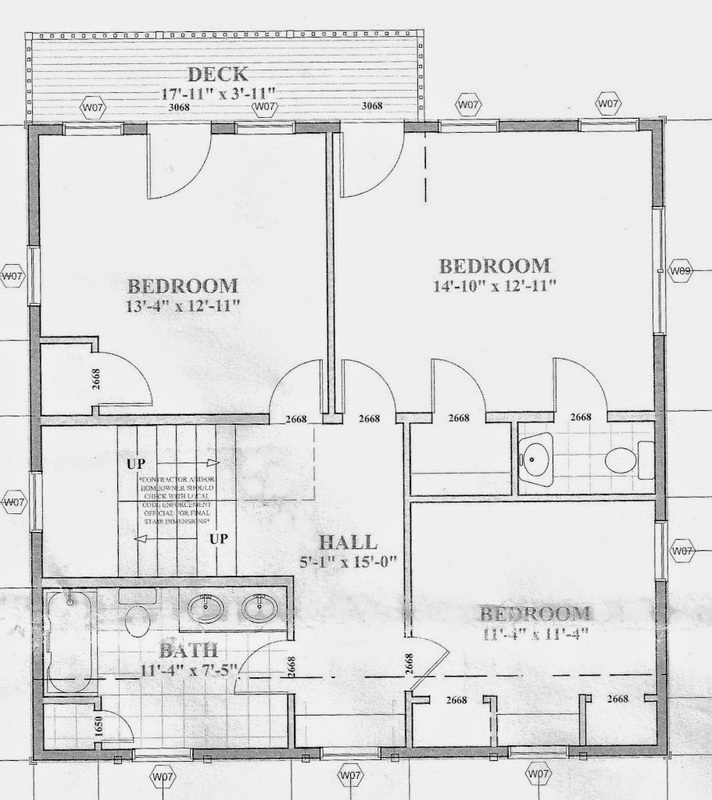 We also wanted 2) an open concept first floor and 3) 3 bedrooms for us and our future houseguests. But it was a big challenge with this house. Because we were trying to keep the original post-and-beam structure as much as possible, we were constrained by the footprint of the existing house. The existing house was L shaped and the only change we wanted was to fill in the rest of the L with a small 11' x 11' addition. On the exterior, we wanted to keep a very traditional facade, in keeping with the neighborhood. 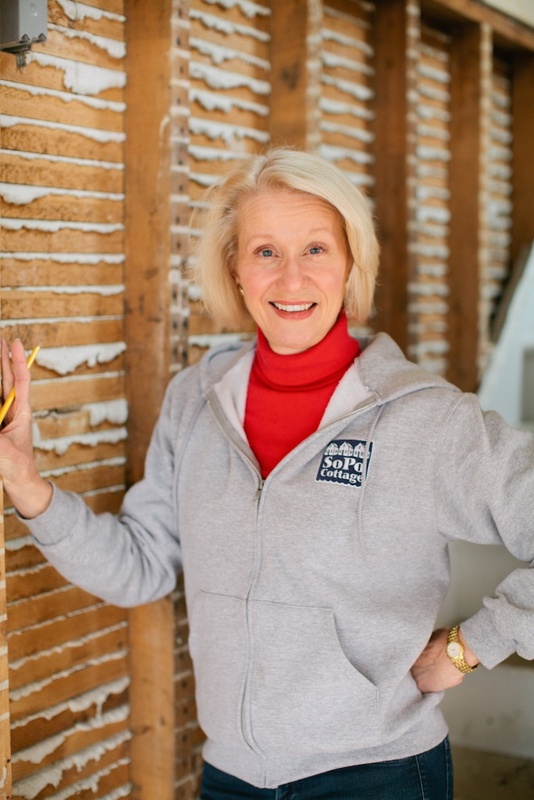 Simple clapboard siding and traditional windows were important to the design. 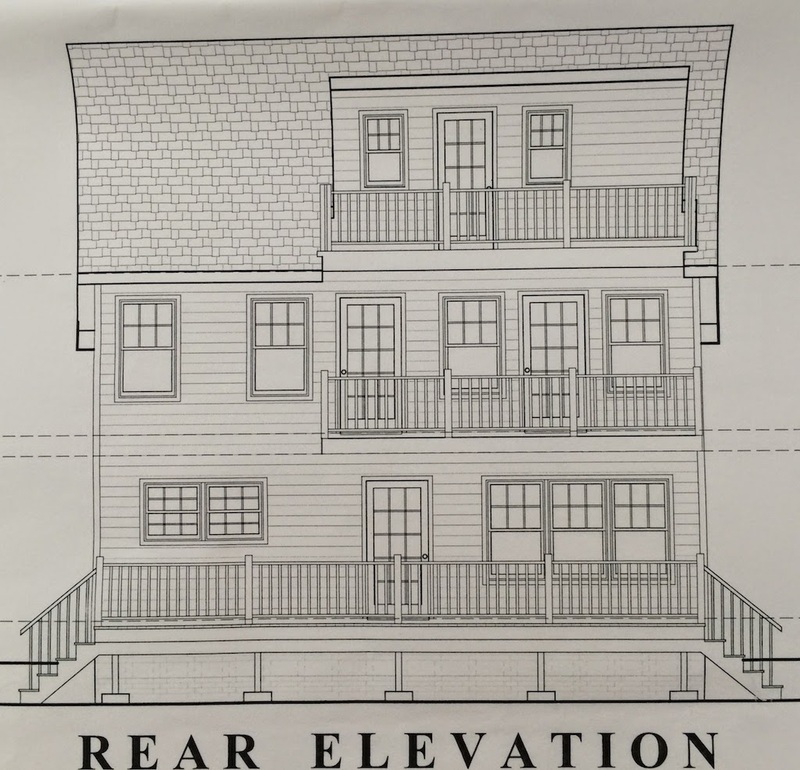 We kept looking at design options, and because of the design-build approach with our architect and builder, we could look at estimates as well. After a few iterations (and many months), we came up with this. 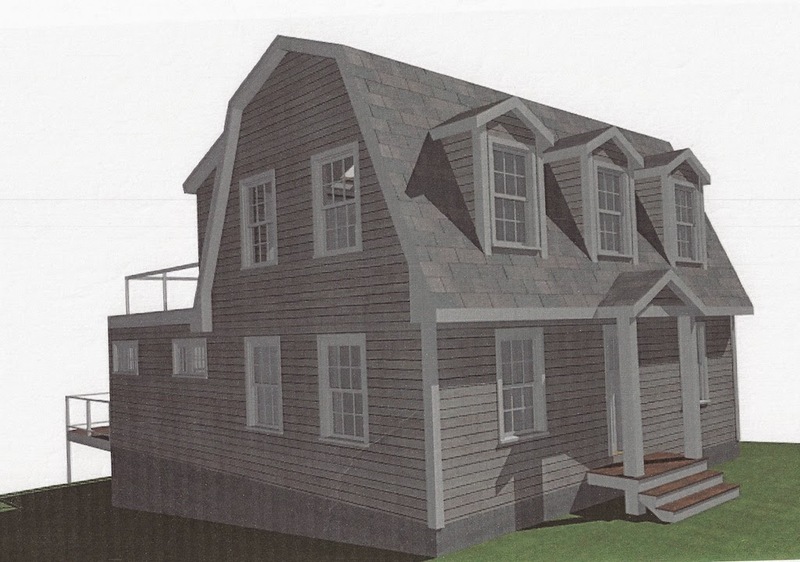 We really loved the gambrel roofline and the multiple decks, that take advantage of the view. But the bedrooms were awkward. And when we got the final estimate from the builder, we were flabbergasted at the cost proposal. His recommendation to reduce costs? Get rid of the decks - particularly the 3rd floor one with the great views. Oh, and tear down the house. Tear down the house? Eliminate the decks? Well that made us a bit crazy, since the multi story decks were such a huge design requirement. And we had talked about saving the house from day 1! 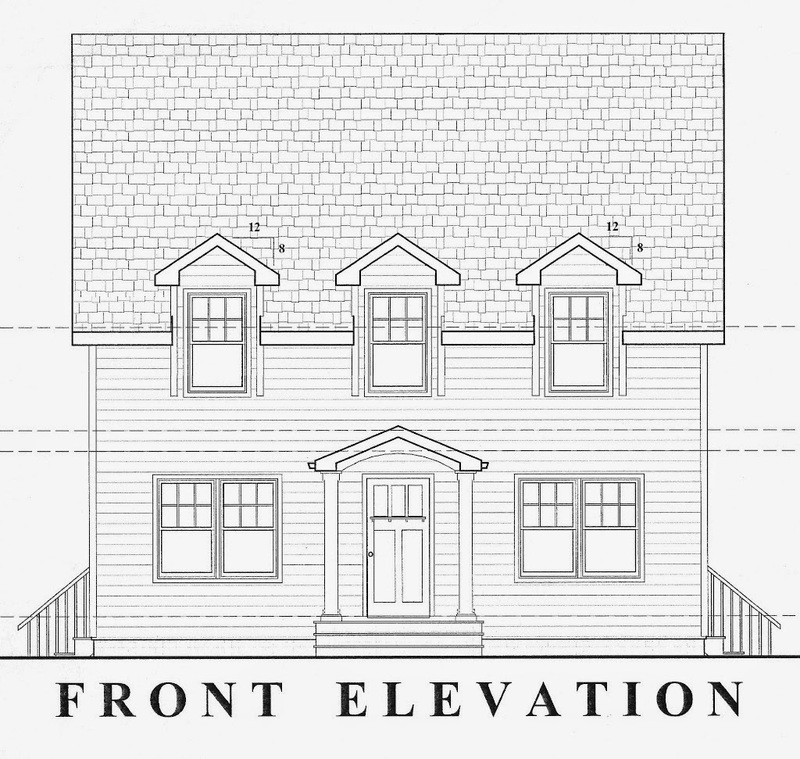 After looking at their drawings and estimates, we realized this was a non-starter. So, with $12,000 invested in design fees, we fired them both and went back to the drawing board. Lessons learned - do a lot more of your legwork up front and don't lock yourself in with a design-build contract. We now had a design that we didn't like a whole lot, but we also couldn't take it anywhere else to work on it. So...... I downloaded a CAD program and started designing (I'm a mechanical engineer - so this isn't quite as crazy as it might seem!). And for the first time, we started thinking about tearing down the house. It was painful, but after so many rounds with different contractors, we were starting to realize it wasn't feasible to keep it. At least not at a cost that made logical sense. It had seen so much damage over the years, it would cost far too much to save it. But we were devastated at the prospect. The only bright spot? With this new approach, we had a lot more flexibility on the design. And we quickly came up with some great new ideas. Once we locked down the design that we liked, we worked with our local building supply company - Hammond Lumber. For $400 they will draw up your design, including all the structural elements and will give you a price for all their components. 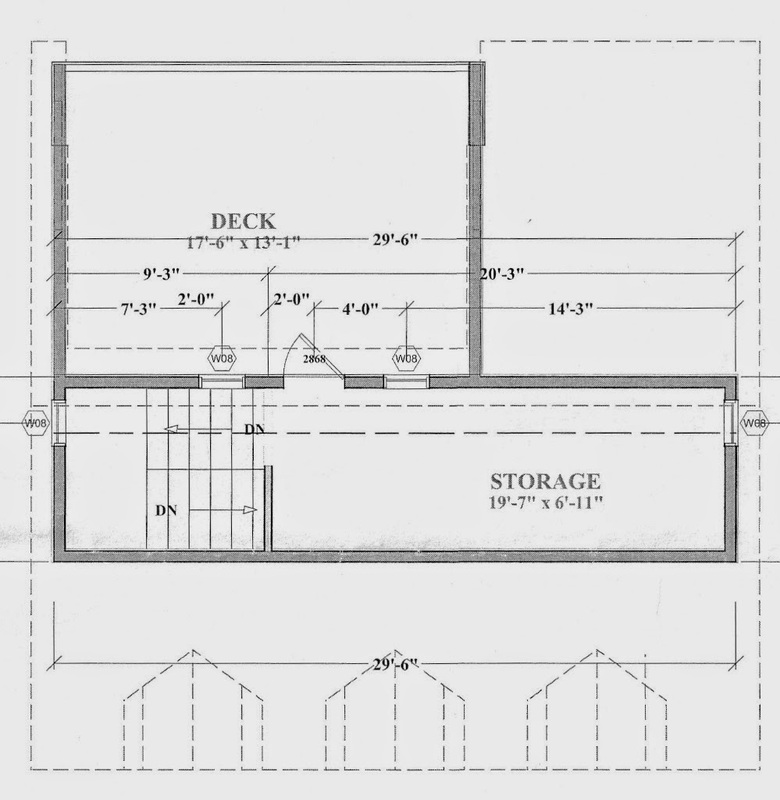 (sorry for the quality of the drawings - these are blueprints that have gotten a bit dog eared from lots of use!). I'm not sure other lumber companies will do the same, but this has worked beautifully for us on multiple projects! And we were pretty excited about the new design. It takes the idea of Open Concept to the extreme, with just one large room on the first floor. We do lots of entertaining and this is perfect for a big party! 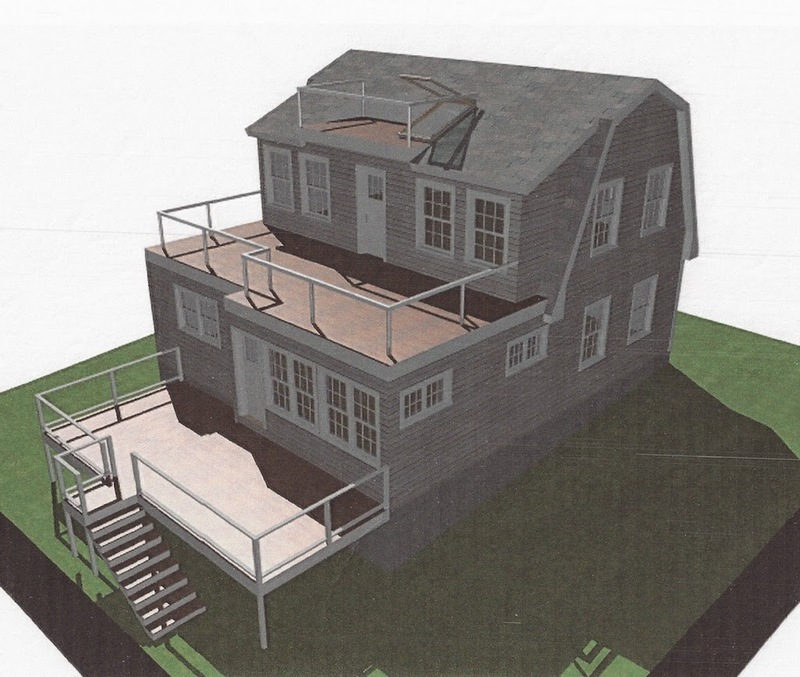 We also added a deck on each level, to take advantage of the water views. 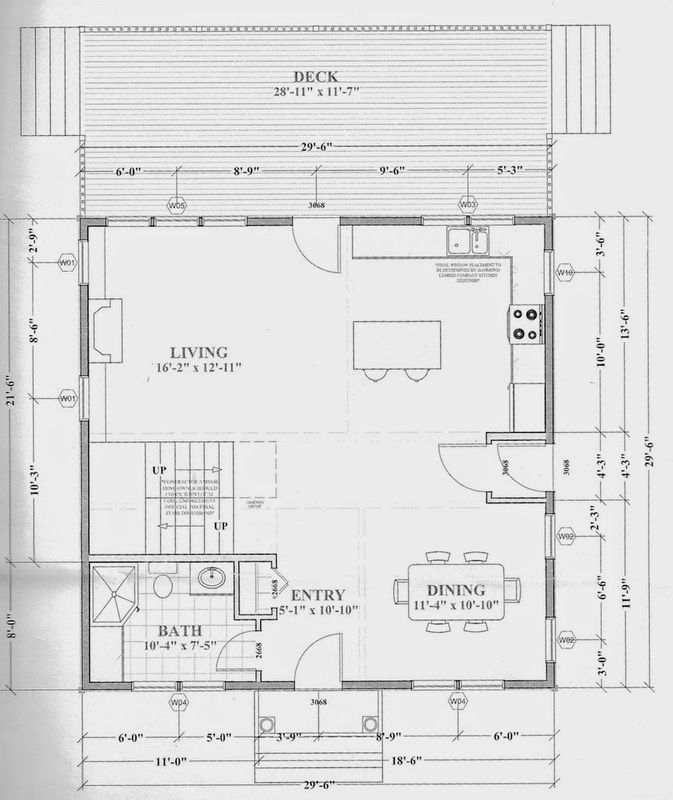 The design includes 3 bedrooms - not large, but certainly big enough. The master bedroom has a half bath and there are two other full baths in the house. And we have a full staircase going up to the 3rd floor deck. The original design showed this as a storage area - but we were already trying to decide if that could be a nice spot for a home office! Now that we had a new design in hand, we found a new builder. Our new contractor - let's call him Joe - was a very nice young man. He'd done lots of work in the area and was highly recommended. He'd never built a full house before, but was confident he could handle it (his father was a contractor, so he grew up learning the trade). So we signed the contract and got started! Lovely. Will you be able to salvage any materials from the old house? I must have missed the decision to tear down the house, but I am sure is was the only way. There are times when is just cannot be saved. Still it was shock to see. I look forward to new house rising.